As part of our ongoing efforts to improve the quality of service at KYC, the Downstairs bar and Kitchen will be CLOSED from November 10-27. We apologize for any inconvenience during this time and look forward to reopening the new an improved KYC Bar and Kitchen on November 27, just in time for the AGM! Please click here for a detailed schedule of service interruptions. 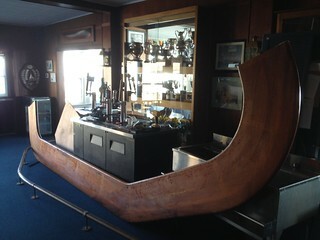 Click here for the bar renovation photo album that we will update as the renovation progresses. Awards Night was a great success! Thank you to everyone who came to make it such a great event. We had a turnout of over 110 people, great food & service and few tall tales. Do we you have photos from the Awards Night? Nomination forms for board positions in the 2014-15 season are now available at the office. Able Sail is running an online jewelry sale as a fundraiser. All of the proceeds will go to support our program, and especially to help purchase the adapted seats needed for our new Sonar, Zest. All orders will be filled from the Mississauga office as soon as the party closes. Orders should arrive by about November 22 or 23.
is not one you will want to miss! For Who? : YOU, the KYC member! will make ALL AGES LAUGH! Also BRING YOUR KIDS, GRANDKIDS, NIECES/NEPHEWS AND OTHER LITTLE CLOSE FRIENDS for the children’s games, crafts and Santa’s visit!! 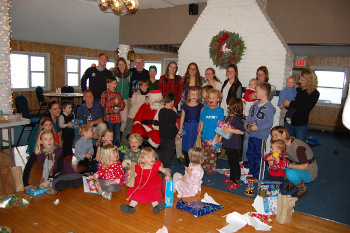 Note: Parents, grandparents and guardians of little child(ren) attending...please place a gift wrap present with “your child’s” name on it in by 3pm in the KYC office (near Santa’s bag). KYC Junior Sailing instructor, Elizabeth Rouget, recently competed with the Dalhousie Sailing team for Canada at the Student Yachting World Cup, in La Rochelle France. The week long competition included teams from England, Ireland, Scotland, France, Italy, Norway, Japan, USA, Wales, Canada, and Switzerland. Elizabeth was responsible for navigating the coastal races in La Rochelle's busy port. She also had the opportunity to work as mainsail trimmer. Elizabeth came up through the JS program at KYC and encourages all young sailors to get experience in keel boat racing. 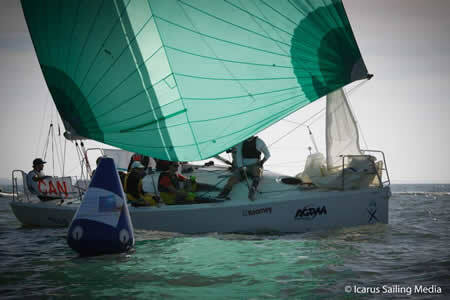 She has participated in KYC's club racing for the past couple of summers. 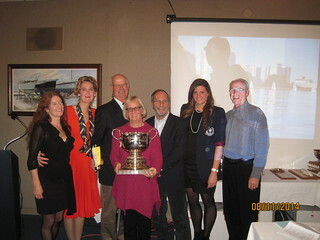 Queen's Sailing Team ~ Two National Titles! Queen's Sailing is the 2014 Canadian FLEET Racing National Champion! Queen's Sailing is the 2014 Canadian TEAM Racing National Champion! The team came third at the SYWoC Qualifiers this past weekend in Halifax, NS, and are competing in the Kennedy cup this weekend, which is the US National Collegiate Keelboat Championship at the US Naval Academy. We are looking for people interested in serving on the board or on a committee for the upcoming year. It is an exciting time to be involved with so many projects and initiatives moving ahead. If you like to get involved please contact the office. In my note in last week's Knotmeter I was totally remiss in not mentioning Don Currie. FULL kudos to Don and Chris Currie for a) providing Bagatelle as a mast de-stepping "dock" and b) lending their two sets of able hands on both days for masts down and haulout. As well, Jeanine Jollineau was buzzing around, again, under my radar, EVEN THOUGH she ably disconnected la Gal's backstay. Maybe MY backstay is disconnected.Nonetheless,we thank you too Jeanine. My apologies to those who I did not mention.